Ford Grand C-Max Running Costs, MPG, Economy, Reliability, Safety | What Car? The Grand C-Max is competitively priced but it isn’t as well equipped as some rivals, particularly the Citroën Grand C4 Picasso. 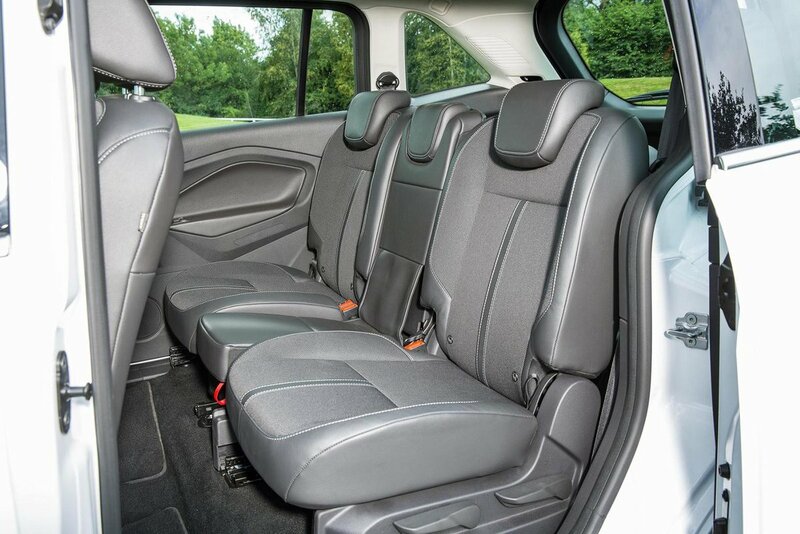 Zetec is our favourite option; it’s the entry-level trim but still comes with rear parking sensors, alloy wheels, air-con, a digital radio, a USB input, heated windscreen and door mirrors. Add the 8.0in colour touchscreen with sat-nav and you’ve got a fairly well equipped car for substantially less than what you’d pay for the next-rung-up Titanium model. Having said that, plenty will still opt for Titanium, because it is better equipped, with kit including the touchscreen (although you’d need to add sat-nav), cruise control (which is not even an option on Zetec), electric windows in the front and back, dual-zone climate control and auto lights and wipers. 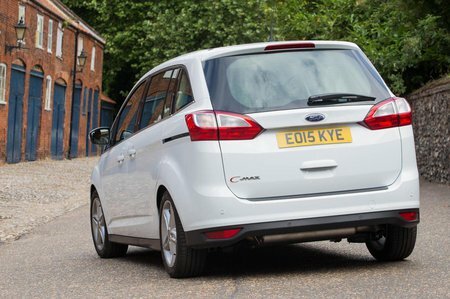 Ford’s PCP finance deals tend to be competitive and company car buyers will find tax costs very reasonable, albeit not as good as they are on the Grand C4 Picasso. Real-world fuel economy is pretty good on the 1.5 diesel. If our tests in the Focus are anything to go by, you can expect that engine to return more than 50mpg, while the 1.0 Ecoboost does tend to be a long way off its claimed figure and is more likely to be around the high-30s to low-40s. 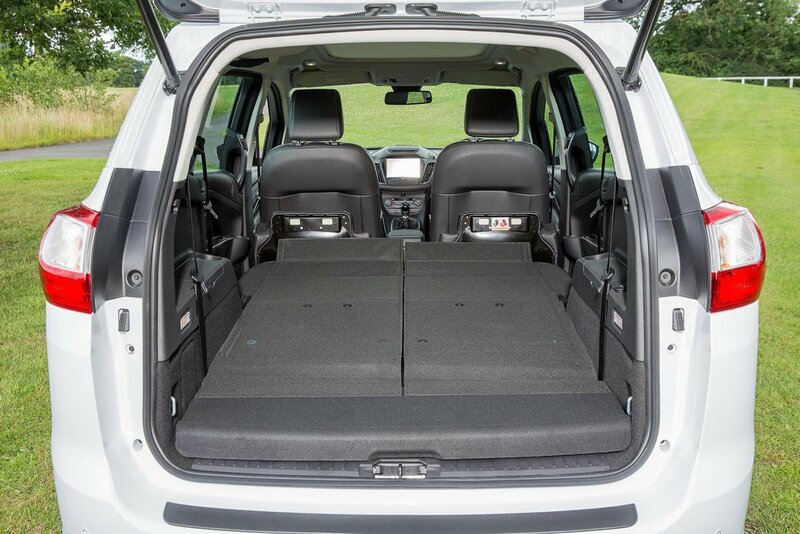 All Grand C-Max models get six airbags, while traction and stability control systems and automatic emergency braking are standard. However, lane assist and blindspot assist, automatic parking, tiredness warning and traffic sign recognition are all optional extras. Euro NCAP awarded the Grand C-Max three stars for safety; the car isn’t brilliant against rivals such as the C4 Picasso (the Grand C4 Picasso hasn’t been tested) across the adult, child and pedestrian protection categories. A three-year, 60,000-mile warranty is standard – that’s on a par with most rivals but isn’t the class best. In our latest reliability survey, the Grand C-Max (along with its C-Max sibling) came an impressive second in the MPV category, while Ford as a brand came ninth out of 32 manufacturers tested.